We’re happy to announce that Robin Yang is the official artist for the 3rd Annual NY Videogame Critics Circle Awards on Tuesday, February 11th. Robin’s brilliant painting below suggests the constellation Lyra in the form of a celestial fountain pen. 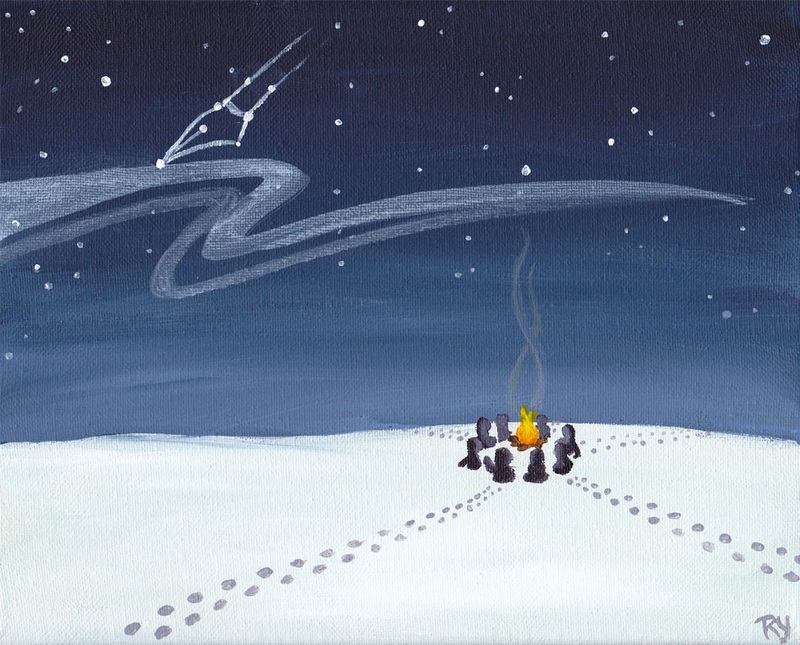 Below the deep blue sky at night, critics encircle a raging campfire in winter, contemplating their craft and, of course, the peaks and nadirs of videogames. Robin’s artwork will appear on our program and during the Awards Ceremony on Tuesday.